Last Sunday, I was cooking chicken curry for the family. My mom takes a cooking break on Sundays, while I take over the kitchen duties which also helps me in experimenting with my culinary skills. After I was done preparing the food, I got busy in arranging them on the lunch table. Accidentally, the chicken bowl I was carrying, slipped off my hands, probably because of my improper gripping, thus, the hot and steamy curry fell on my feet, ending in an outcry. Excruciating pain overtook me, though my mom applied toothpaste to it, which prevented a blister. I was immersed in tears as I felt the pinch of agonizing pain, every now and then. My mom pacified me, saying, “Imagine how it must feel to those who get burnt completely!”. These words stayed with me! During the course of my healing through continuous application of toothpaste (it did work wonderfully well! ), my mom’s words did not leave me. In fact, they calmed me to deal with the pain. I started to ponder about those “burnt” victims, who are scarred for life. Amidst this thought, one face revolved in front of me- Laxmi. I recently read about her baby’s birth and instantly googled to know more about her story. Laxmi is a beautiful, high-spirited, Delhi girl, like any other regular girl in this world. She worked with a local music shop and one unfortunate day, was attacked by a 32-year-old man and his companions after she refused his advances. She was barely 16! 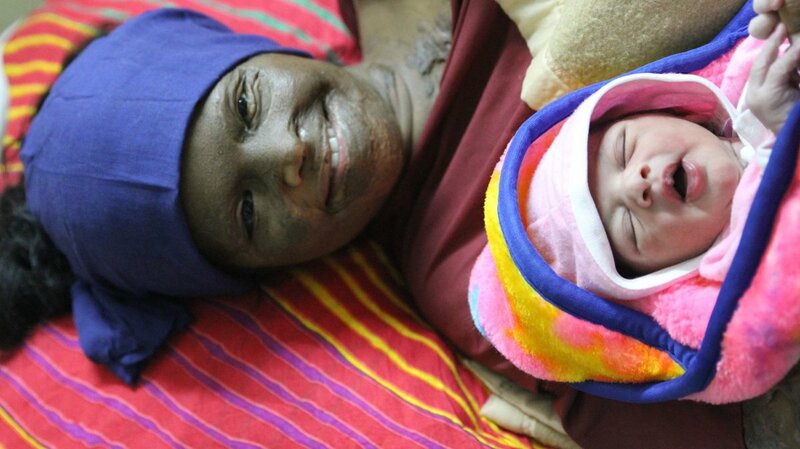 It’s unimaginable to compare the unbearable pain that one goes through when attacked by acid, as it not only disfigures the skin, but also affects the bones and other organs. 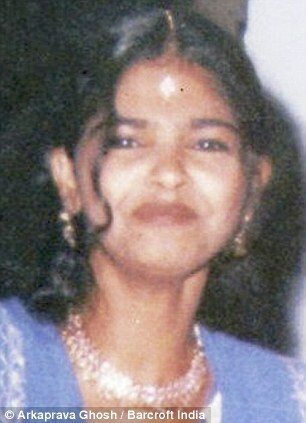 Doctors termed her condition as an ‘acid attack victim’, but it goes more far than what was diagnosed. Living in a society where women are still ill-treated, laxmi well knew the social influence her life will undergo, despite the physical pain and disability. 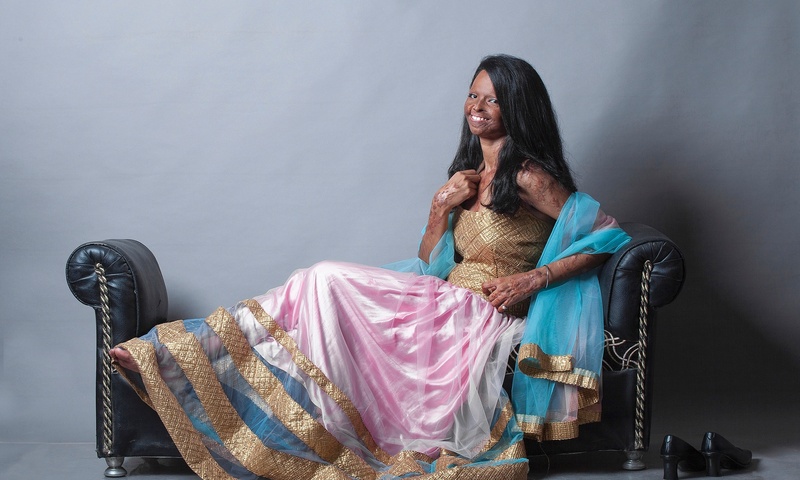 She survived the attack, but that was not what made her a known figure, her will to rise above the pain and serve the society and other acid attack victims did! This quote aptly defines Laxmi’s courage. She didn’t let her physical appearance deter her will, as she rightly says in an interview, “Your inner strength defines your beauty”. I was moved by her undying passion and desire to help and support other acid victims, as she led a petition to the Supreme Court to order the Central and State governments to regulate the sale of acid, and the Parliament to make prosecutions of acid attacks easier to pursue. 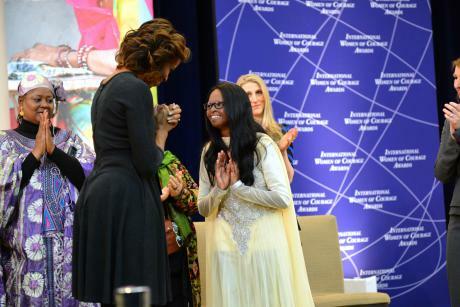 She leads Chhanv Foundation, an NGO dedicated to help the survivors of acid attacks in India. She also received a 2014 International Women of Courage award by US First Lady Michelle Obama and was chosen as the NDTV Indian of the Year. She started her career as a campaigner with Stop Acid Attacks campaign and works with a Local News Channel as a Reporter. Perhaps, Laxmi’s greatest reward is the way she rebuilt her life. She told in an interview, “A relative once told me that, given how I looked, I could forget ever finding love or romance”. But in 2013, she met Alok Dixit, a journalist who joined her campaign and eventually, they fell in love and now, live together in Delhi. “I was attracted to her courage, She is an exceptional young woman and for me, she is beautiful.” Dixit told in an interview. 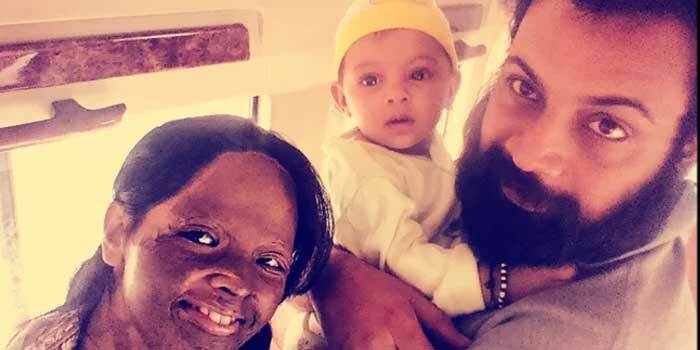 A few months back, they were blessed with a beautiful daughter, whom they named, “Pihu“. Why I feel she is undeniably #MadeOfGreat? Situations and circumstances are common to all, but how we choose to deal with them is what defines us. Through Laxmi’s undying spirit to live a life of honor and pride, and carve a change not only in her life, but the society, inspired me. She didn’t choose depression as a way of life but fought against it. Her story taught me that life is indeed what we make of it and petty incidents don’t define its course, but how we deal with it, does. Most importantly, her tale of love depicts how she was proud of her scars which won her the love of her life. Her perception of true beauty inspires me or anyone who’s concerned about their physical appearance, because, it certainly doesn’t define us. We must be happy with what we own and create happiness around it. The birth of her baby was another incident which inspires me, of how life doesn’t end with a mishap, as we have many beautiful days and opportunities to live and make them beautiful and worthwhile. She realized her dream and made it happen. Laxmi is indeed a lady #madeofgreat passion, desires, strength, love and compassion. or the wealth of a millionaire? which rises above everything else. What do you think of Tata Motors‘ association with Lionel Messi? This looks a winner already! The way you have blended what happened with you and then Laxmi’s case is marvelous! She indeed is a top choice to be featured here, for she is an inspiration beyond words! I think Messis’ association with Tata Motors is a good one…it would help in promoting brand awareness better! I loved your post, Amreen. Great inspiration. Such people teach us the real meaning of life. I am so glad that you chose to write about this wonderful woman. Therefore, the collaboration will surely be very beneficial for Tata Motors. With Messi’s name associated with Tata Motors, people will find this brand more trustworthy for sure. Thank you so much Purba! I’m glad the post inspired you! Thank you so much Teny for the comment and words! The story of a Legend in herself – that’s how I will describe it in a short sentence. Very well written with the pics which enhance the simplicity yet greatness of the Fighter woman. Salutations and very happy for you to have got inspired and bringing out your best in life. Of the thousands of thoughts moving around the Messi-Tata Motors association, here’s a new insight. Messi is also the ambassador for UNICEF for his noble deeds for the betterment of children across the globe. That’s something that truly touched me, more than the football legend in him. On the other side, our Tata Motors could think of making several Indian middle class dreams alive with their Nano. Definitely there’s a touch of humanity behind this. Their association sound to me like humanity meets humanity! A very thoughtful post!Best of luck for the contest! Previous Previous post: My #BNLF Experience! Next Next post: How I helped my Ma get more ‘Smart’er with technology!